User quests available for real life on your mobile. Post a personal or work related quest? Compensation as information, cash or other. Want to setup your own sect, faction or group and issue quest for money, information or other? 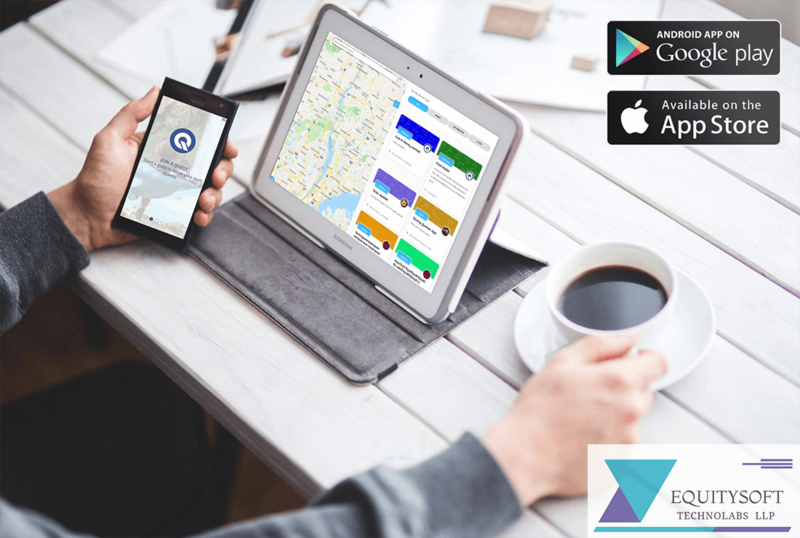 Whether you want to network by joining other group quests, build up your professional profile and make money... or just have a reason to get out and do something, this mobile app has it all. The only difficult part of this quest system is that you have to personally go to the designated quest location (think google map coordinates) to pick up the quest. Equitysoft Technolabs is a full stack mobile app development company and web development company with exceptional expertise in UI/UX designing. We have in-house teams for iOS app development, Android app development, web development, and UI/UX designing. Our dedicated and expert developers and designers have delivered more than 100 mobile apps and 70 websites to the satisfaction of more than 150 clients. That’s why they have rated us so highly on platforms like GoodFirms and Clutch. Get in touch with us to have a look at the gallery of our UI/UX designs and quote for your mobile app development.